Justice, Society and Nature examines the moral response which the world must make to the ecological crisis if there is to be real change in the global society and economy to favour ecological integrity. From its base in the idea of the self, through principles of political justice, to the justice of global institutions, the authors trace the layered structure of the philosophy of justice as it applies to environmental and ecological issues. Philosophical ideas are treated in a straightforward and easily understandable way with reference to practical examples. 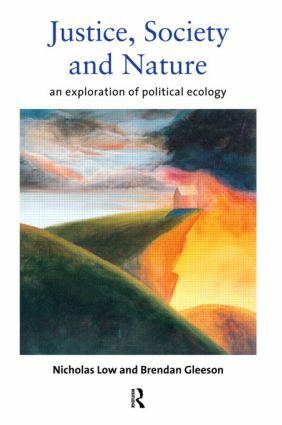 Moving straight to the heart of pressing international and national concerns, the authors explore the issues of environment and development, fair treatment of humans and non-humans, and the justice of the social and economic systems which affect the health and safety of the peoples of the world. Current grass-roots concerns such as the environmental justice movement in the USA, and the ethics of the international regulation of development are examined in depth. The authors take debates beyond mere complaint about the injustice of the world economy, and suggest what should now be done to do justice to nature.